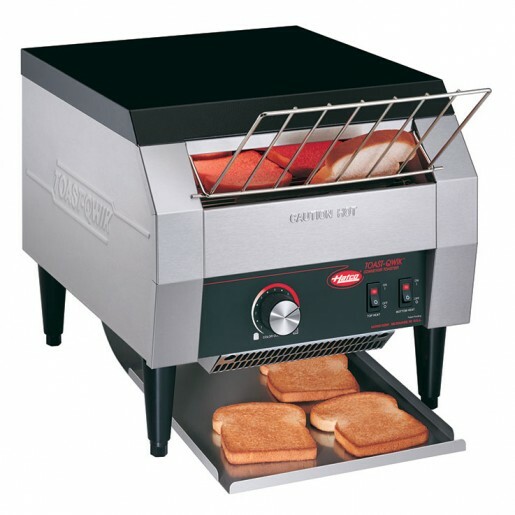 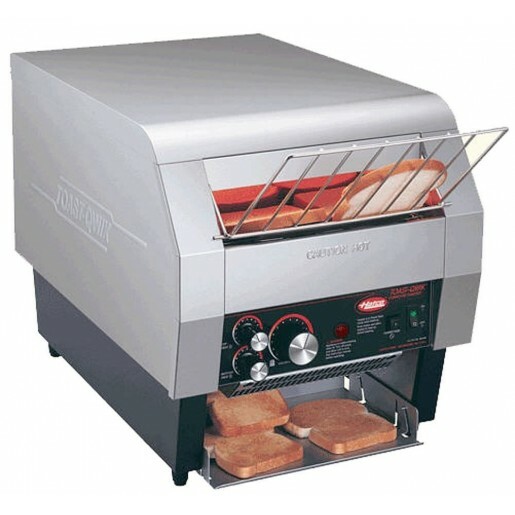 4 slice commercial toaster 1¼" slots 208V. 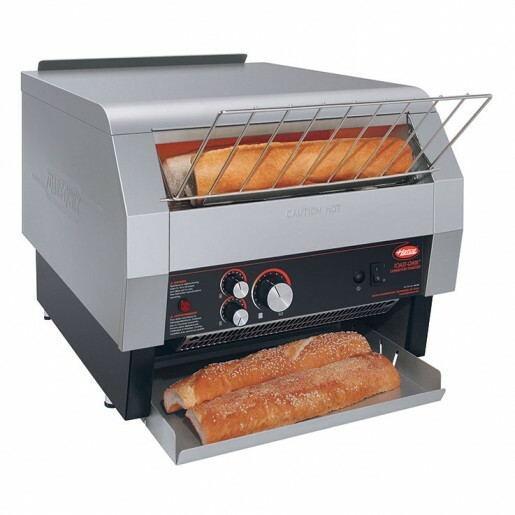 The Hatco Pop-Up Toaster TPT-120 is perfect for buffet areas and lighter volume restaurants with four selfcentering, extra wide slots with individual progressive toasting controls. 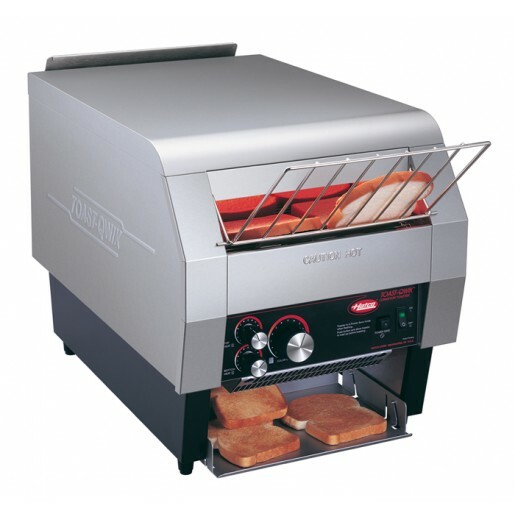 The durable stainless steel housing contains removable crumb trays for easy cleaning. 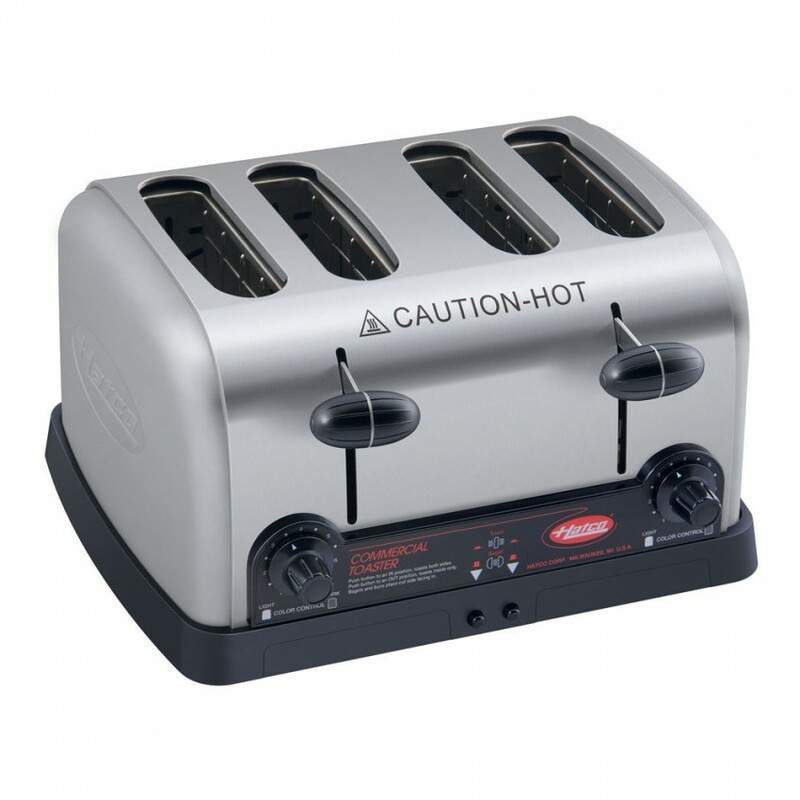 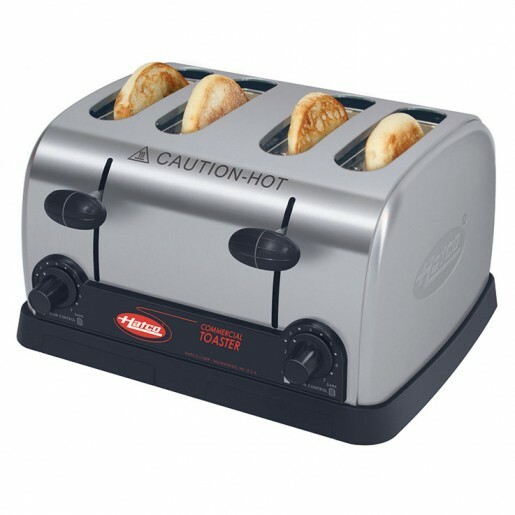 This model is equipped with bagel/bun buttons for one-sided toasting.